After the Golden State Warriors won Game 2 by 33 points, there was a growing feeling that the 2016 NBA Finals was quickly getting out of hand. When two of the best teams in the league meet with a championship on the line, the expectation is that we at least get a competitive series. That wasn’t happening here, and the folks on Twitter were having a field day with it. At this point, it was only a matter of time before the brooms would have to be brought out, right? Not exactly. 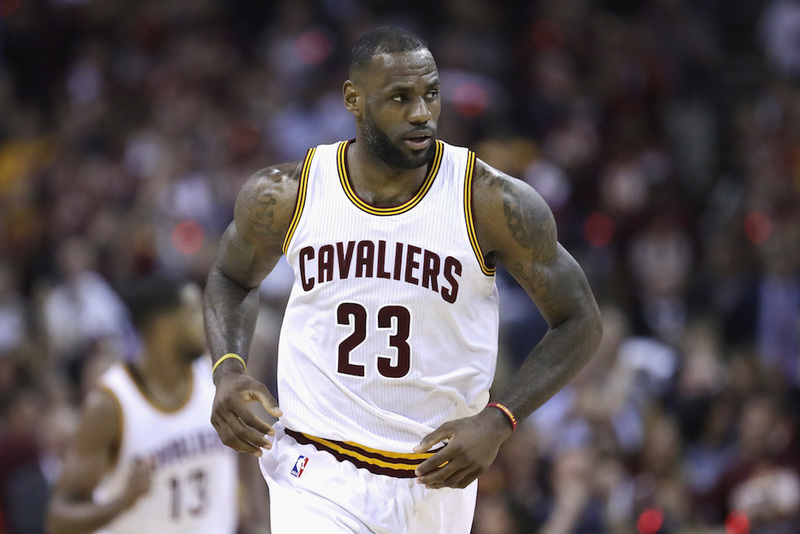 With their season essentially on the line, the Cleveland Cavaliers responded in Game 3 with a vengeance. They shot 52.7% from the field, knocked down 48% of their triples, and trounced the defending champs by 30 points. This was not the same team we saw in the first two games of the series; a sentiment that could effectively describe both of these clubs. In an instant, the 2016 NBA Finals went from weird to weirder. Go figure. Whether you want to chalk it up to good offense or less-than-stellar defense, three games into this matchup, and all we’ve seen so far is one lopsided affair after another. In fact, if the series were to end after these three games, the average margin of victory would stand at 26 points — the largest in Finals history. We’d like to believe that the rest of this series will feature closer games, and therefore, won’t join the list of Finals matchups that saw each team trade knockout blows. However, things don’t always work out that way. And since we live in the era where the three-point shot is king, we figured it was only right to examine these particular series a little bit closer. The 2005 NBA Finals was an exciting back-and-forth affair between the San Antonio Spurs and Detroit Pistons that went the distance and ended with the Spurs capturing their second title in three years. And while this series was considered a tight battle, which is usually the case when one goes seven games, that doesn’t mean the individual contests were. After winning first two games of the series by 15 and 21 points respectively, the Spurs found themselves with a commanding 2-0 lead. Not to be outdone, the Pistons fought back to even the series following blowout victories in Games 3 (96-79) and 4 (102-71). While the remaining three games in the series were relatively close, the damage was done, as the average margin of victory for the series was 14.4 points. The 1996 NBA Finals pitted the 72-win Chicago Bulls against the ultra-talented Seattle SuperSonics. As was the case in each of the six times he reached the Finals, Michael Jordan and company came out victorious, this time winning it all in six games. For both of these clubs, however, some wins were greater blowouts than others. The Bulls started the series out in convincing fashion, winning the first three games, including a 107-90 victory in Game 1 and a 108-86 win in Game 3. The Sonics, who went on to win the next two games, made their biggest statement in Game 4, routing the Bulls 107-86. When all was said and done, and the Bulls hoisted the first of what would be three straight championship trophies (the team’s second three-peat), this series had witnessed an average margin of victory of 14.5 points. Despite getting crushed in Game 1 of the 1985 Finals by a score of 148-114, the Los Angeles Lakers, led by Kareem Abdul-Jabbar (25.7 PPG, 9.0 RPG, 5.2 APG) and Magic Johnson (18.3 PPG, 6.8 RPG, APG), found a way to get their heads back in the series and ultimately defeat the Boston Celtics in six games. The way we see it, this probably had something to do with the fact that the Lakers didn’t just let themselves get clobbered, they did some clobbering of their own. Although the Lakers won Games 5 and 6 by a combined 20 points, it was in Game 3 that LA really put on a show(time). By storming past the C’s 136-11, Johnson and company turned the tables, and helped bring about a Finals that would see a margin of victory of 14.7 points. After falling to the Miami Heat in 2013 in seven games, the San Antonio Spurs didn’t just redeem themselves in the 2014 NBA Finals, they absolutely destroyed LeBron James and friends. Although it wasn’t a sweep, with the way San Antonio flexed its muscles, it might as well have been. In each of their four victories, the Spurs won by double digits. They won by 15 in Game 1, by 19 in Game 3, by 21 in Game 4, and by 17 in the series-clinching Game 5. Suffice to say, in a series that saw a margin of victory of 14.8 points, we knew pretty early on that this Finals matchup was going to be all San Antonio. The Los Angeles Lakers and the Philadelphia 76ers duked it out in the 1982 NBA Finals — a series that saw the former win the whole thing 4-2. Interestingly enough, there was only one game in the series that saw the victor win by less than double digits — and that was Game 1. For the Lakers, their largest victory of the series came in Game 3 when they won by a final score of 129-108. For the Sixers, it was Game 5, which resulted in a massively one-sided affair to the tune of 135-102. In the end, thanks to a series filled with one lopsided contest after another, the ’82 Finals had the greatest margin of victory in the three-point era with 16.2 points.